Winston Contemporary Art announces a CHANGE OF VENUE for the band GRAY's engagement in Houston. 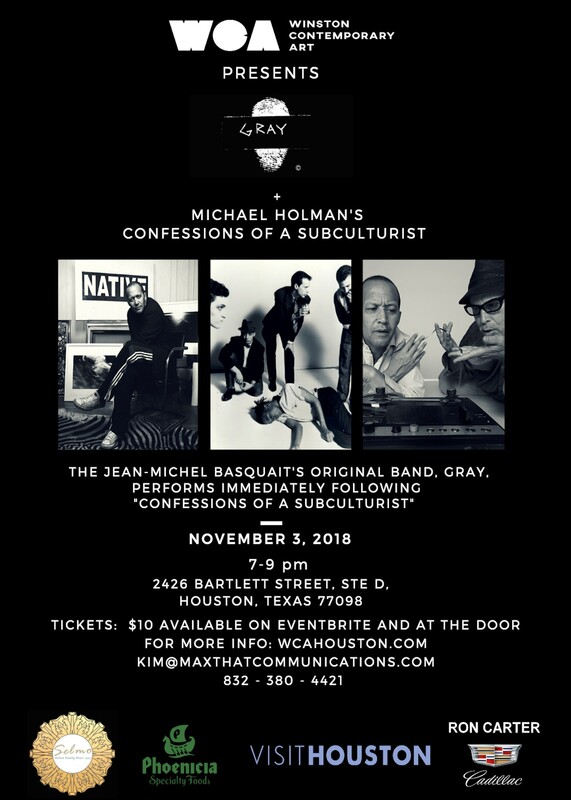 GRAY will now perform at Winston Contemporary Art on November 3rd immediately following hip-hop impresario, Michael Holman's, "Confessions of a Subculturist"
Two electrifying performances, one amazing night of art/music & storytelling. First, filmmaker and co-founder of the band, GRAY, Michael Holman takes us on a journey using video and photographs that provide a glimpse of the hip-hop and Downtown New York Art scenes, during the early 80s. 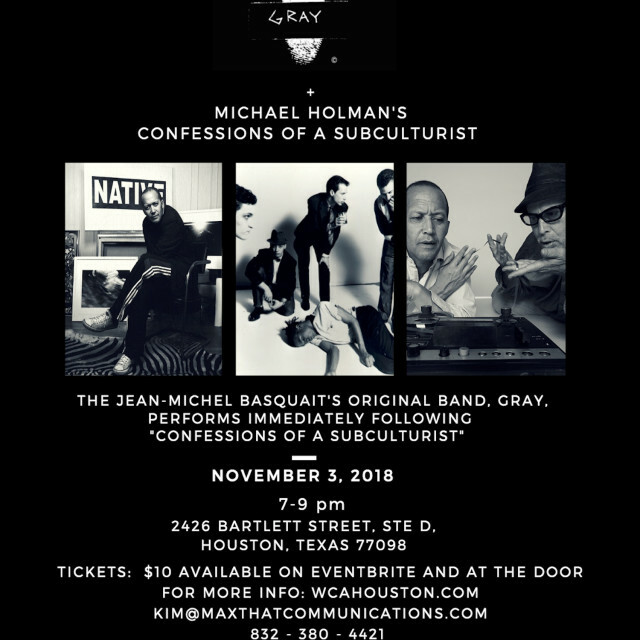 "Confessions of a Subculturist" is Holman's recollections of his role as a connector and impresario in the creation of hip-hop. An electronic art-noise band, featuring Holman & Nick Taylor. Together they create sound and music from unexpected places, in unexpected ways. 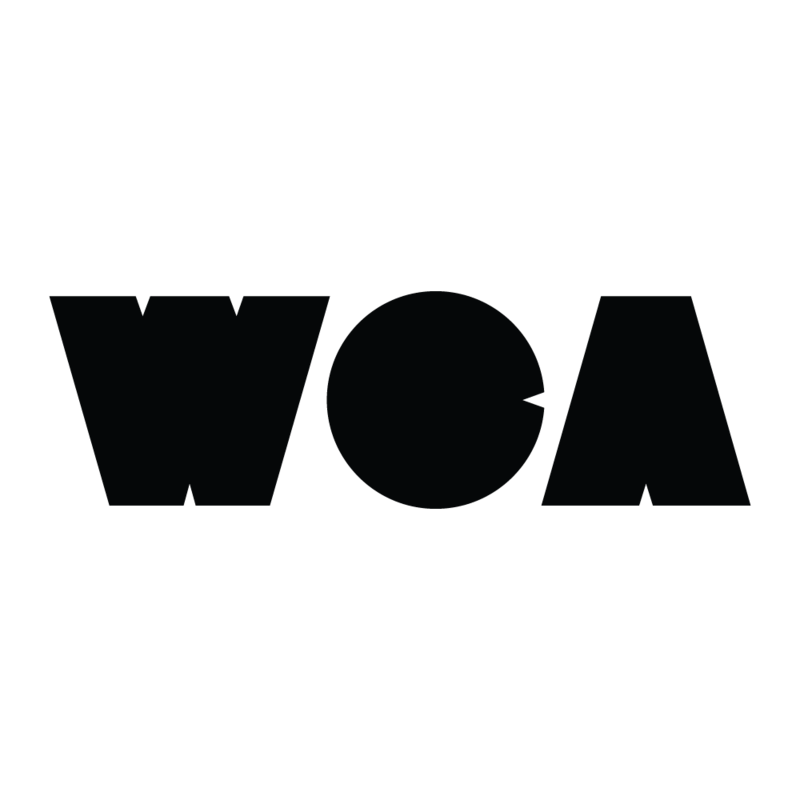 GRAY's music is accompanied by visuals from Holman's personal collection of art world videos, including footage of Jean-Michel Basquiat co-founder of GRAY.